Littly presents soft and comfortable baby jhabla for your little ones. 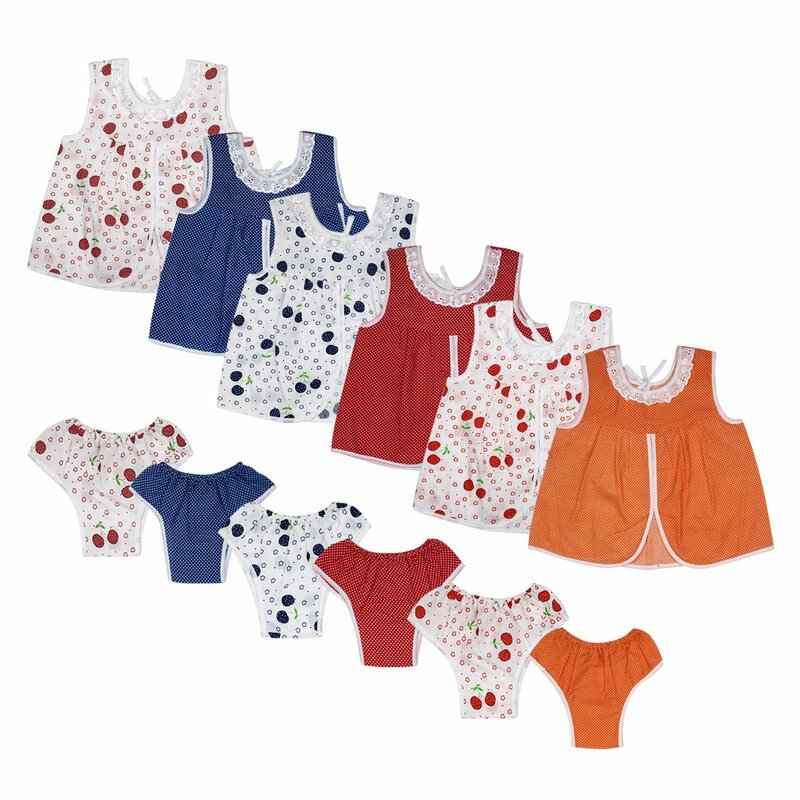 These are made from 100% cotton, highly breathable fabric and are gentle for your baby's skin. This beautifully designed dress is ideal for everyday use and is easy to fold and carry. Attractive design, colour and cute print give these frocks a stylish and casual look. Note: Actual product may slightly vary in terms of colour /design and will be shipped based on availability. Wash Care: First wash to be done in salted cold water.